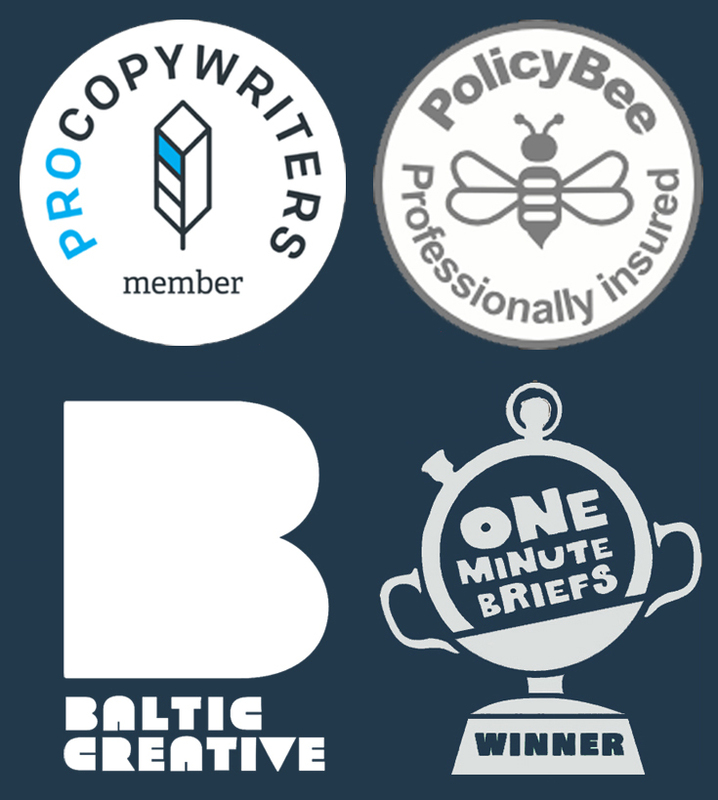 Ever find yourself at a copywriting standstill? Maybe you’re staring at a blank page and don’t know where to begin? Perhaps you’ve already started writing and you’re finding the going tough? Or you just don’t know how to word something? It mightn’t feel like it at the time, but there are loads of easy ways to get around a creative roadblock. So have faith in your writing skills, accept that sometimes the words just don’t flow as freely, and give one or two of my tried and tested methods a whirl. One of the best ways to get going when you’re struggling is just to write exactly what comes out of your head, in as plain or conversational a fashion as you’re thinking it, and then edit later. This not only unleashes your rawest, most emotionally-driven words on whatever subject you’re writing about, but simply gets some words down on the page. Because there are few things more daunting than staring at that blank white page or screen for too long. At a copy standstill or struggling to word something correctly? It’s easier than you think to get around a creative roadblock. Just follow my five tips to help you get words on the page and edit them to perfection for any client. Some call copying, others call it plagiarism, I call it inspiration. Unless you’re completely stealing something word-for-word, there’s absolutely nothing wrong with picking up a book to see how stories begin, or flicking through a newspaper to look at headlines. Even scrolling through your Twitter feed can give you ideas about how to communicate succinctly, in 140 characters or less to be precise. When writing emails, I often just open my trusty Hotmail account and have a nose at recent subject line styles. If it works for all of these big brands, a small adaptation could work for whoever you’re writing for. My good friend Chris King (son of Alan) recently asked: “Isn’t the inability to think, part of the problem?” He’s right. But there are ways to way to think about the subject you’re writing about without actually thinking about the product or service you’re writing about. Liz Doig from Wordtree ran a cracking workshop on refreshing creativity at last month’s PCN Copywriting Conference 2015 (a must-go-to event for copywriters ), in which one of the tasks was to write an email for a high-end wine company, encouraging affluent customers to stock up their cellars for Christmas. Twenty-or-so copywriters around the table were given either a bottle of Christmassy scent to smell (I had cinnamon), a festive object to feel without looking (the woman to the left of me had a pine cone), or something to taste while blindfolded (guy to the right had an After Eight mint). The task was to think about what feelings or memories the scent, object or food evoked, and write down whatever came to mind. The result? Lots of deliciously creative copy about Christmas that formed the perfect emotive intro to the email; the push to buy wine only came once the festive scene had been set in the reader’s mind. As pressurising as it might feel at first, timing yourself to write something can be a great motivator, especially when you have deadlines to hit. 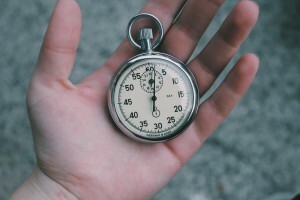 It can be as simple as setting yourself a ten minute timer (with alarm) to write an intro paragraph, or if you have several tasks to complete as part of a larger job, breaking this into equal timed chunks. Every time the alarm sounds, try to move onto the next task, and come back to the parts you’ve not quite finished afterwards. It’s surprising how many times something golden will come to you when you least expect it. Also, knowing you have such a small window in which to find the right words can compel you to write instinctively, rather than trying to be too playful. The approach allows you to write simply and directly; one of the key skills of copywriting. Whether it’s a walk around the block or a class at the gym, getting a sweat on always gives you time to think. Plus you burn calories, so it’s win-win. I’m a road cyclist, and I’ve lost count of the times my head has been battered with wondering how to attack a brief, and something has just popped in there mid-ride. 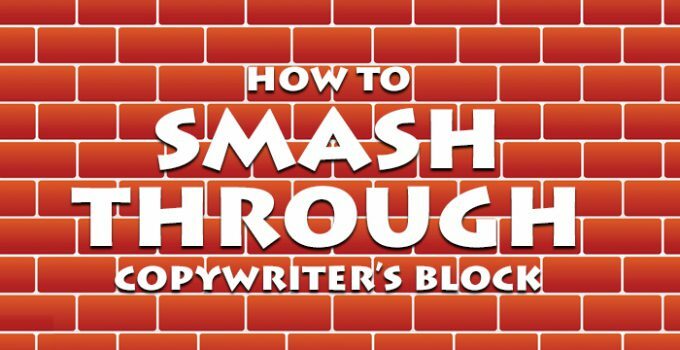 So there you have it, my five straightforward ways to conquer copywriter’s block. Why not try out these methods and see if they help you overcome any troubles you’re having. Or maybe you can add to the list and share your own tips for banishing the blank page demons?